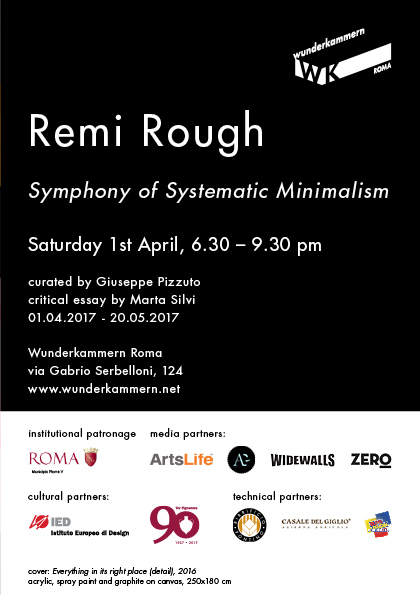 Get ready for “Symphony of Systematic Minimalism”, Remi Rough's first solo exhibition in Italy. 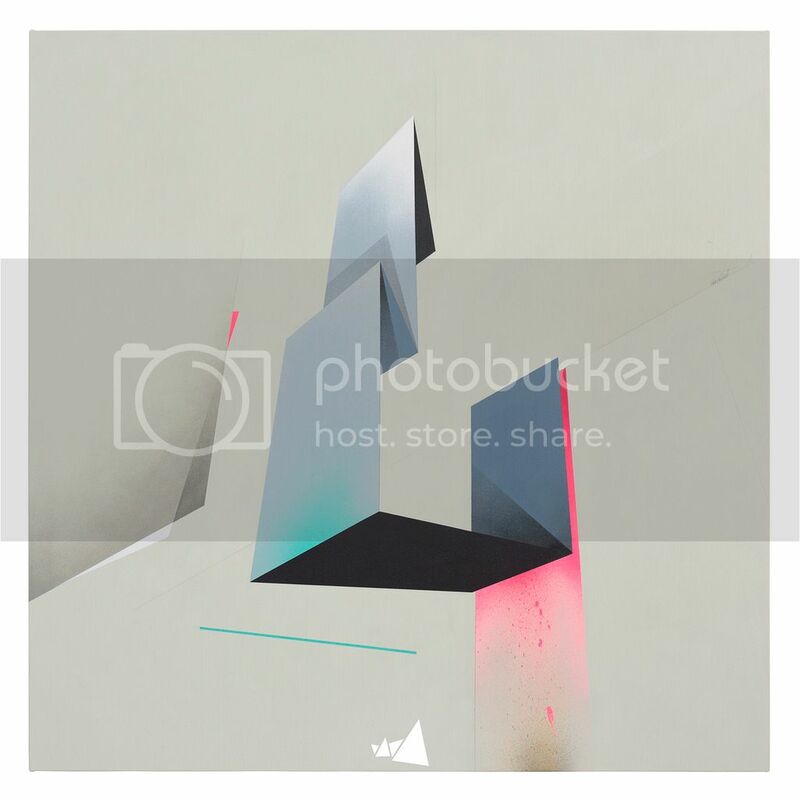 The british artist explores the relationship between visual art and music. As music’s abstract language, in Remi’s paintings the visual elements become a chromatic system of pure forms. 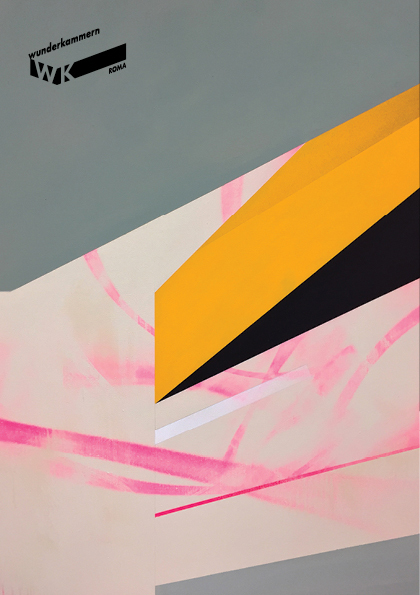 In his works colours, lines and shapes are modulated as visual “chords” in a musical composition, resulting in a dynamic and precise structure, where nothing is arbitrary and everything is in the right place. When: Saturday 1th April 2017 at 6.30 pm. 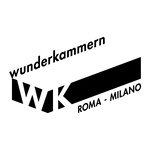 Where: Wunderkammern Gallery, via Gabrio Serbelloni, 124, Rome. Remi Rough (London, 1971) is one of the greatest exponents of the abstract current of urban art. Coming from the UK art scene of the 80s, he has pursued his research both in the gallery space and through public interventions. The artist combines the purism of avant-garde movements such as Suprematism, with a totally modern expressionistic energy to create powerful abstract compositions. Remi Rough has exhibited in important international institutions and events such as the Biennale of Street Art in Moscow, the Museé Mohammed VI in Rabat, the MB6 Marrakech Biennale, the Urban Art Biennale at the Völklinger Museum, the Museum of Fine Art of Santander and the Maison De L’Architecture in Strasbourg. Remi Rough (London, 1971) is one of the greatest exponents of abstract urban art. Engaging in the UK art scene of the 80s, he has pursued his research both in the gallery space and through public interventions. The artist combines the purism of avant-garde movements such as Suprematism, with a totally modern expressionistic energy to create powerful abstract compositions. His synthetic yet dynamic lines and neat geometric colour forms, whether on walls or on canvas, acquire an almost sculptural dimension. Remi Rough has exhibited in important international institutions and events such as the Biennale of Street Art in Moscow, the Museé Mohammed VI in Rabat, the MB6 Marrakech Biennale, the Urban Art Biennale at the Völklinger Museum, the Museum of Fine Art of Santander and the Maison De L’Architecture in Strasbourg. If anyone would like to see the collector's catalogue please drop me a direct message. Nice, i like the body of work's diversity. 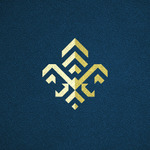 Either the form or colours are minimalist but elaborated, interesting evolution. Personal favorite is the black square canvas. A shame that i already got a piece from Remi's previous show, i would be all over that one. Widewalls have written an interesting piece on the exhibition with an indepth interview.